Disasters hit the poorest the hardest. They destroy years of investments and obstruct further development. This means that the most effective disaster response demands synergy between sustainable development, disaster risk reduction and humanitarian aid. Cordaid achieves this by building resilient communities and increasing disaster resilience. Cordaid works with communities that are vulnerable to climate change-related disasters in fragile and conflict-affected areas. Watch this video to find out more about Cordaid’s approach to strengthen the resilience of these communities. We increase capacities of communities to become disaster resilient. CMDRR brings people together to analyse and address common disaster risks, starting from the community’s own knowledge of recurring hazard events. This includes training in CMDRR concepts and processes, participatory risk mapping, contingency and action planning, community organization, implementation as well as monitoring and evaluation. These days, half of humanity lives in cities. Nearly one billion people live in slums. Changing hazard patterns in combination with the conditions in slums – poor infrastructure, high poverty rates and complex social structures – significantly increase disaster risks. Cordaid’s risk-focused participatory neighborhood planning approach, implemented in collaboration with multiple stakeholders, strengthens resilience in urban settings. District development plans rarely integrate disaster risks. And communities living in the districts are hardly involved in the planning process. Therefore, we support district staff in making development and contingency plans. These plans must take the hazards in the district into consideration and involve communities in the planning and implementation process. District planning is complementary to community level development and contingency plans. To break the cycle of disasters and dependence on emergency aid, Cordaid works with disaster-affected communities as soon as possible after the emergency phase. Our interventions not only replace damaged assets, but also strengthen the capacity to bounce back from the next disaster. In order to promote CMDRR, urban resilience and district resilience, we work with the Partners for Resilience (PfR) strategic partnership. PfR is a Dutch-based alliance, consisting of Netherlands Red Cross, CARE Netherlands, Cordaid, Red Cross/Red Crescent Climate Centre and Wetlands International. From 2016 to 2020, PfR focuses on policy dialogue to integrate disaster risk reduction, climate change adaptation and ecosystem management in international, national and community level programs and policies. We do this in ten countries in Central America, Africa and Asia. The frequency and severity of disasters, caused by natural hazards and/or by armed conflict, are increasing. This is aggravated by climate change. Especially in fragile states, climate change has a multiplier effect on conflict, like tensions over natural resources, water and land. Vice-versa, conflict and displacement diminish people’s capacity to cope with disaster risks related to natural hazards. In fragile contexts, government capacity to adequately address people’s needs may be weak. We therefore work with a multi-stakeholder approach, linking and building capacities of communities, governments and other actors. 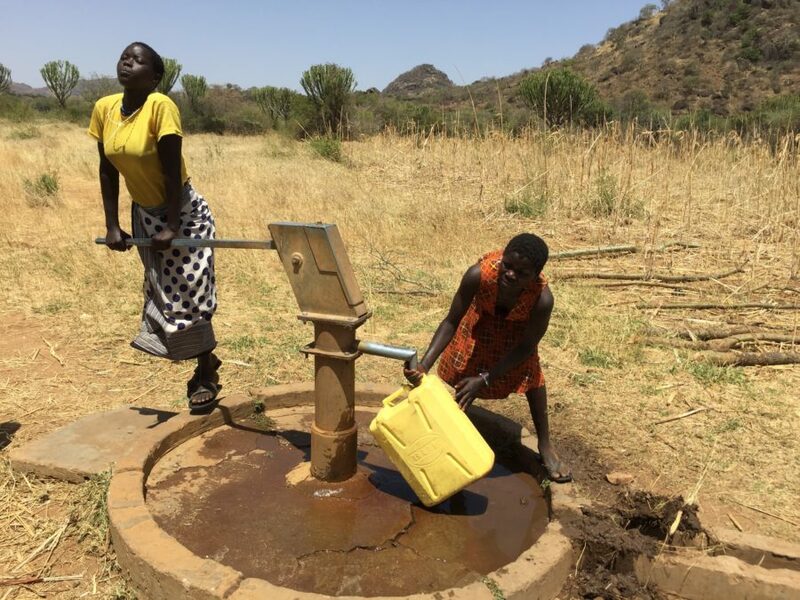 Support to improve Integrated Catchment Management for Increased Community Resilience in Lokok and Lokere Catchments in the Karamoja Region, Uganda. Overall goal of Cordaid’s Resilience program is to assist disaster-prone communities to become more resilient to disaster risks, in the face of climate change, environmental degradation and conflict risk. Doing this, we are enabling livelihood security, peaceful co-existence, and sustainable inclusive growth. organisation and facilitation of working sessions and providing keynote speakers at thematically relevant conferences. knowledge management and learning activities on resilience processes and resilience measures. While disaster resilience helps communities and authorities at all levels to be more resilient to shocks, their economic well-being is just as important. Therefore, Cordaid’s Resilience work strives to align as much as possible with the micro-finance provided by Cordaid through its Rural and Agricultural Fund (RURAF). Community members as well as entrepreneurs of micro, small and medium enterprises not only receive disaster resilience training and knowledge, but also the financial means to improve and guarantee their livelihoods.